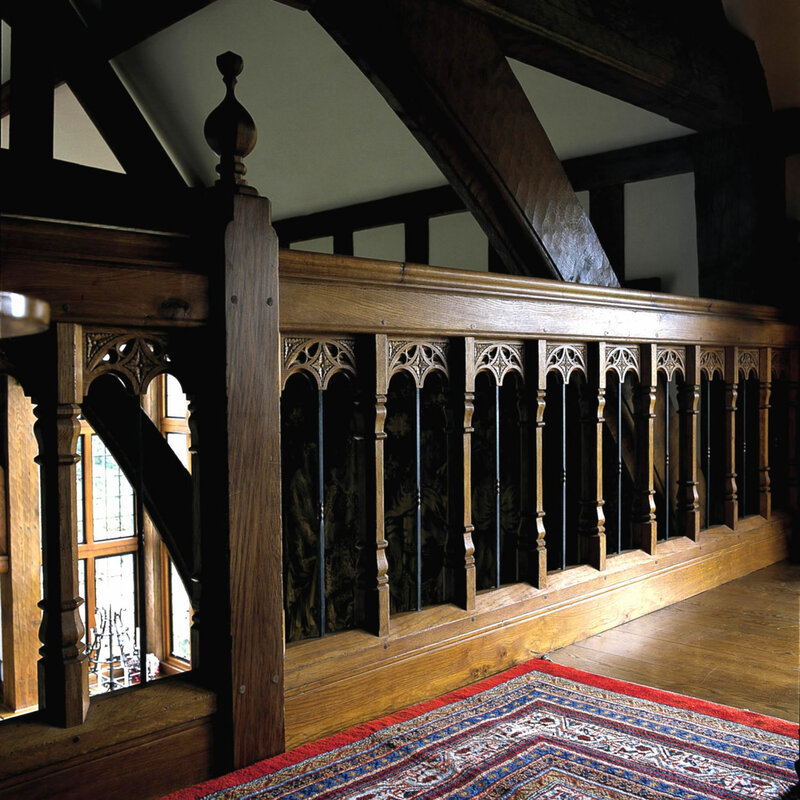 All of our solid oak are designed and made to order. 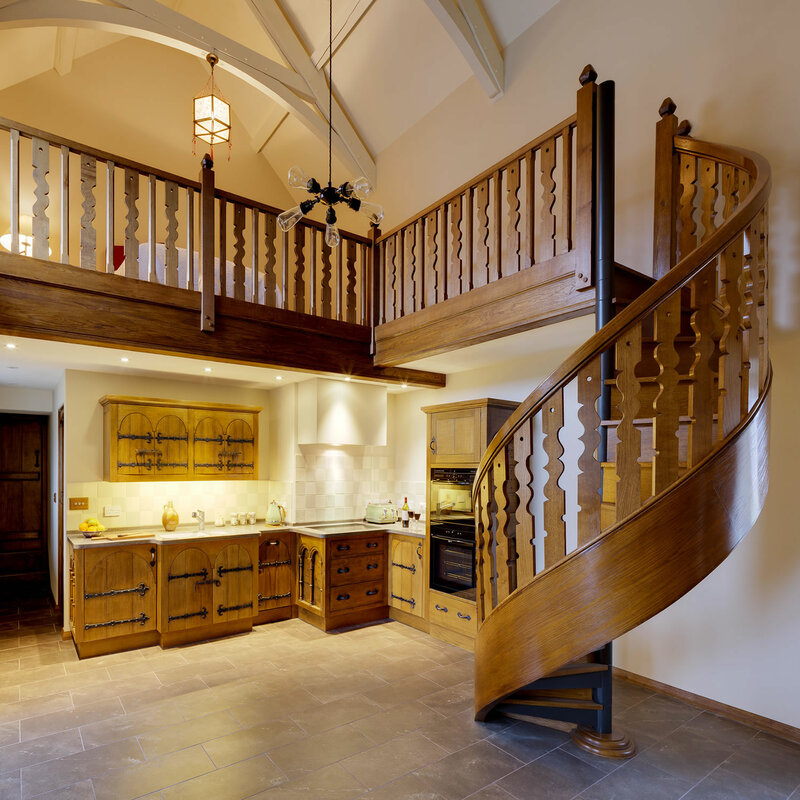 Everything we produce is entirely bespoke, which means our clients are very much involved in the detailed design process. 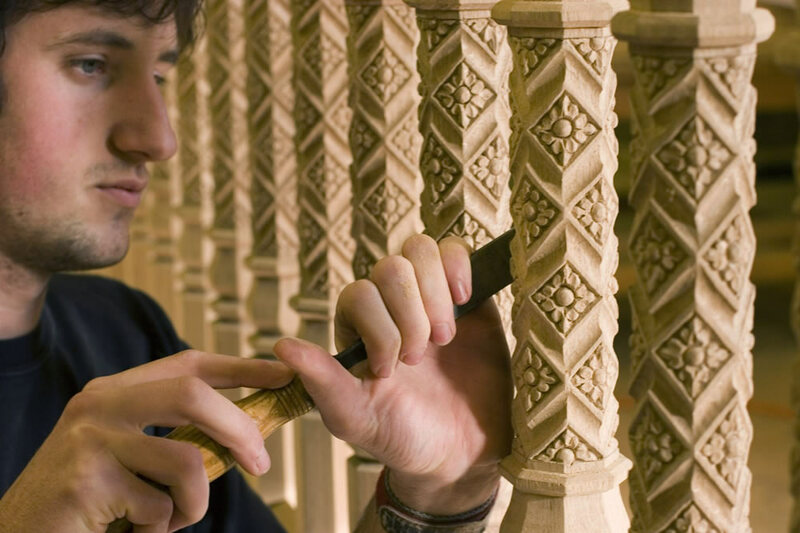 This could involve anything from selecting a baluster design or choosing the style of carving on a newel post, to deciding on the finished colour. 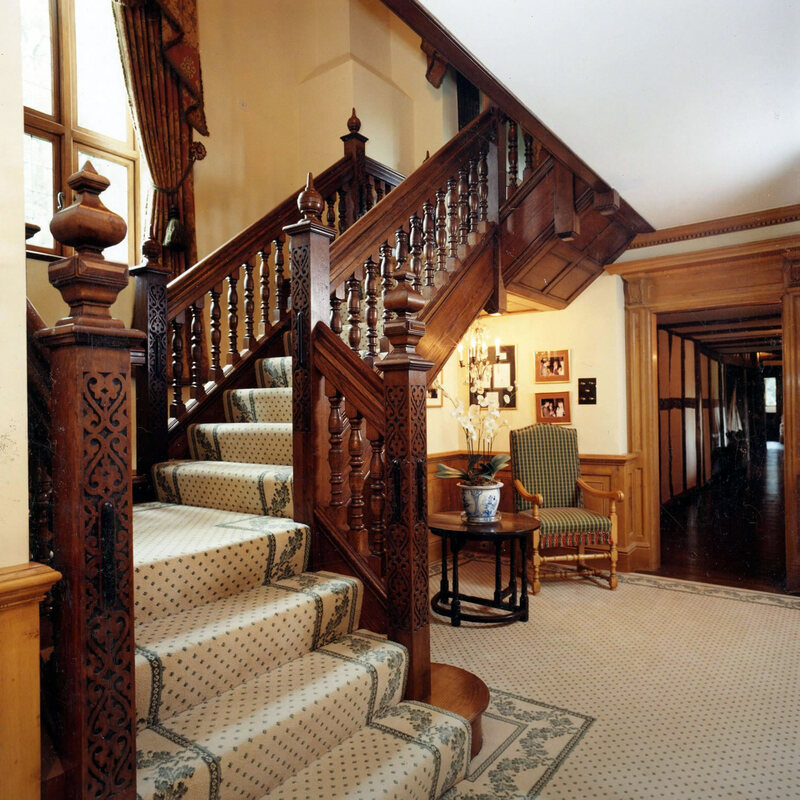 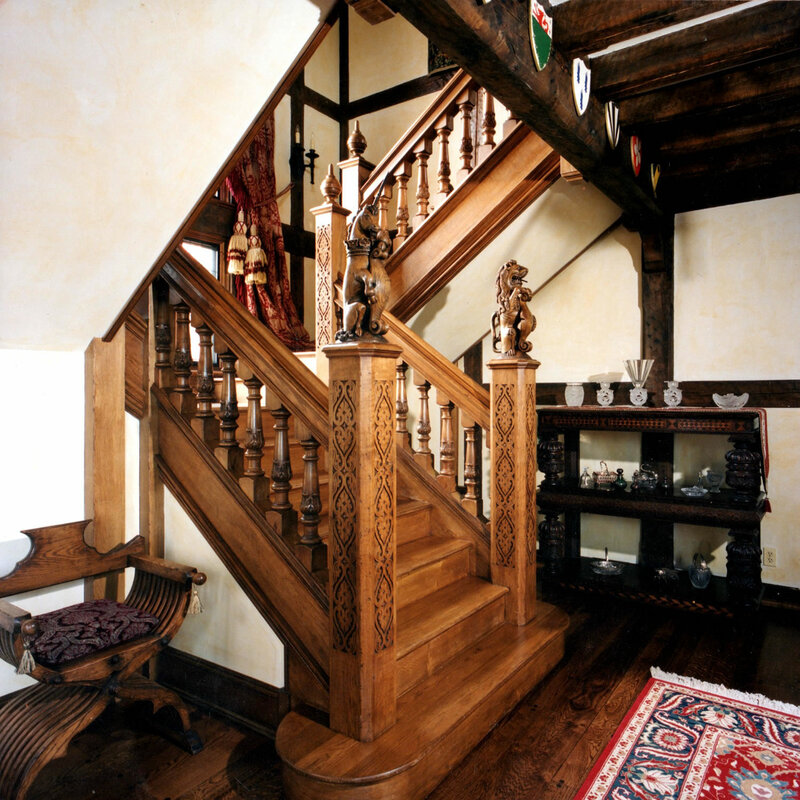 We design and make all styles of staircases from hand-carved oak Tudor staircases with elaborate finials, grand sweeping Georgian style staircases with monkey tail handrails and ornate turned balusters, to a single flight of oak treads and risers. 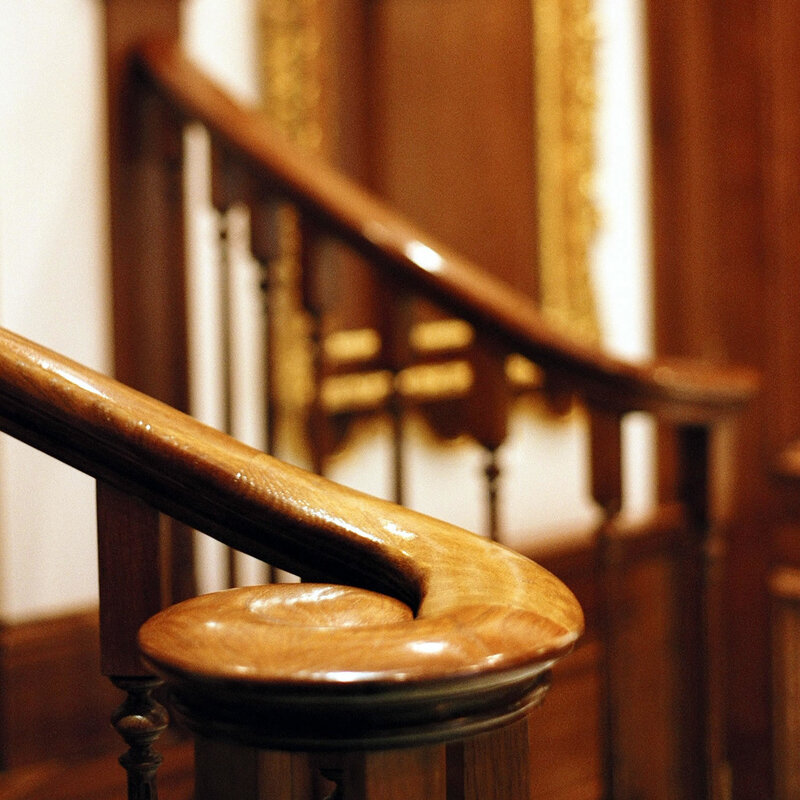 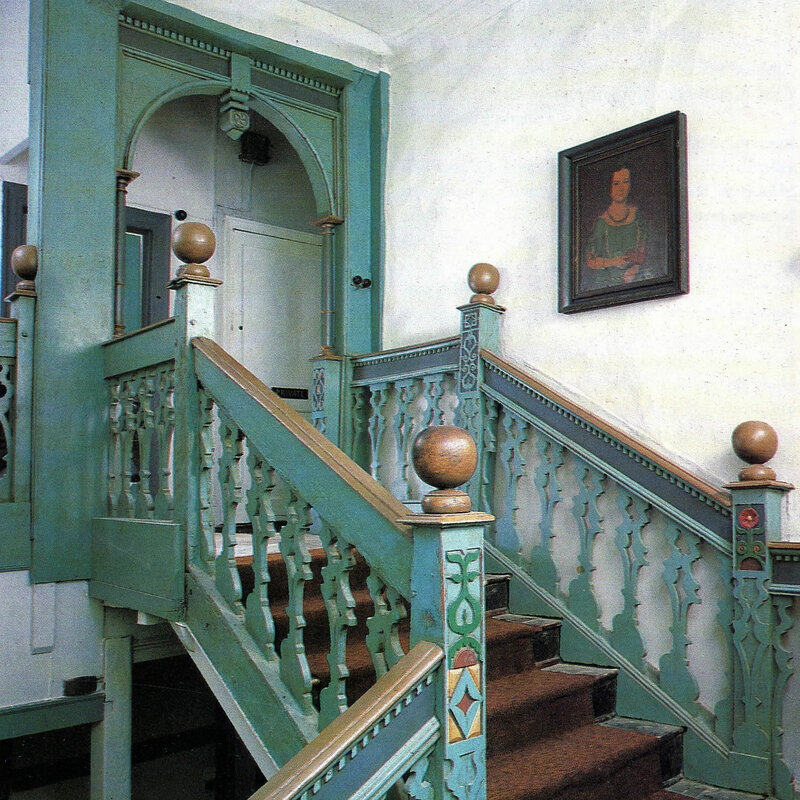 All of our staircases are made from the finest quarter sawn oak and once hand polished exude a unique patina and shine. 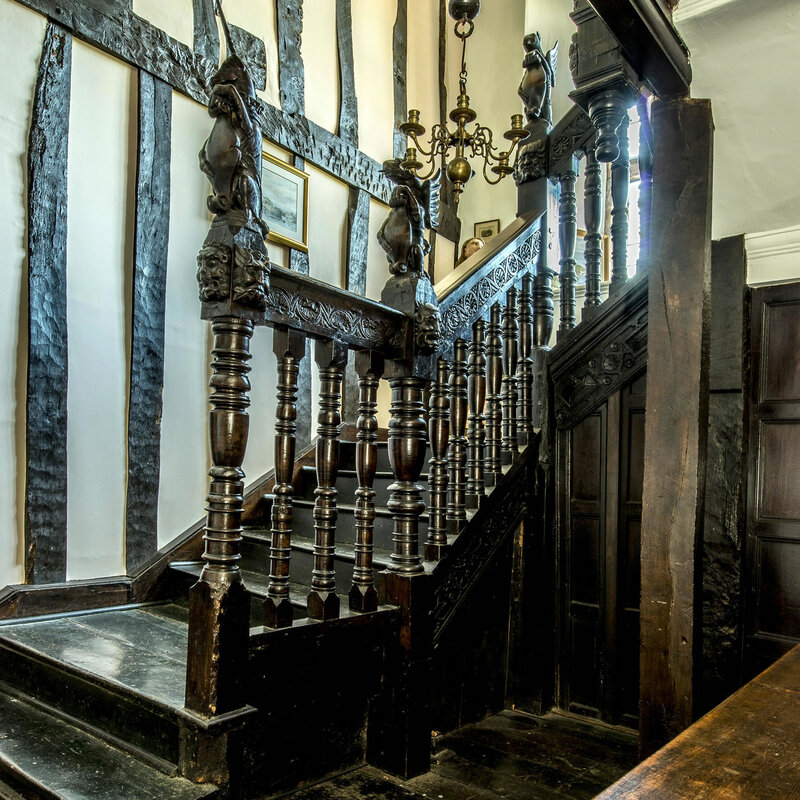 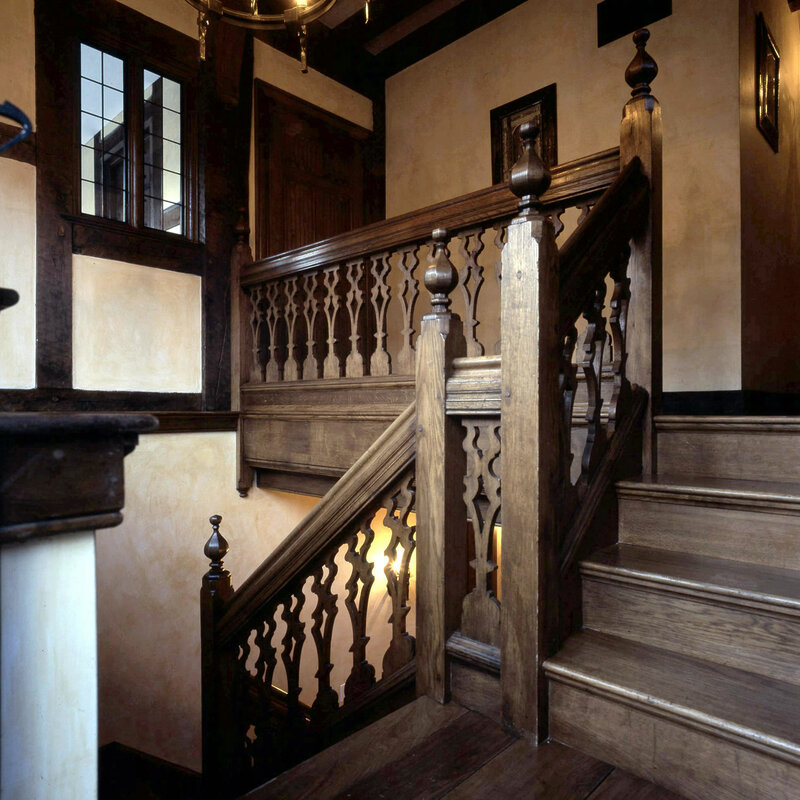 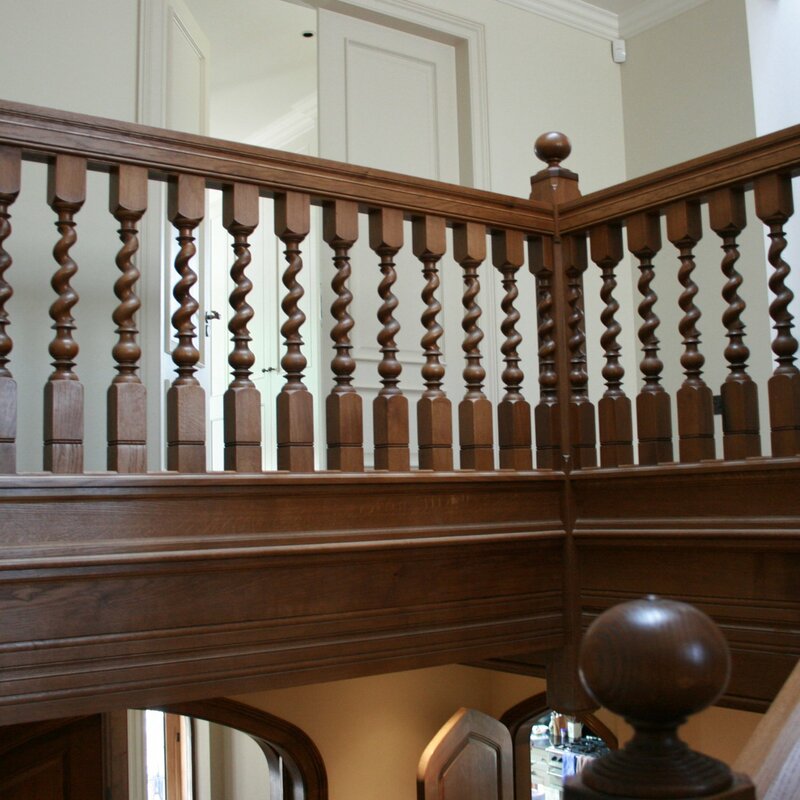 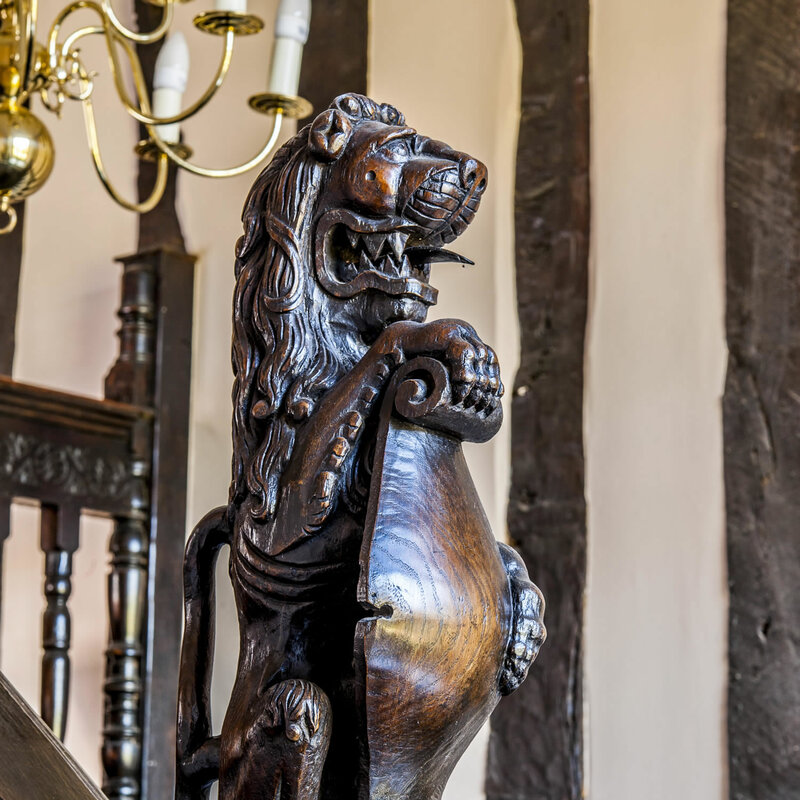 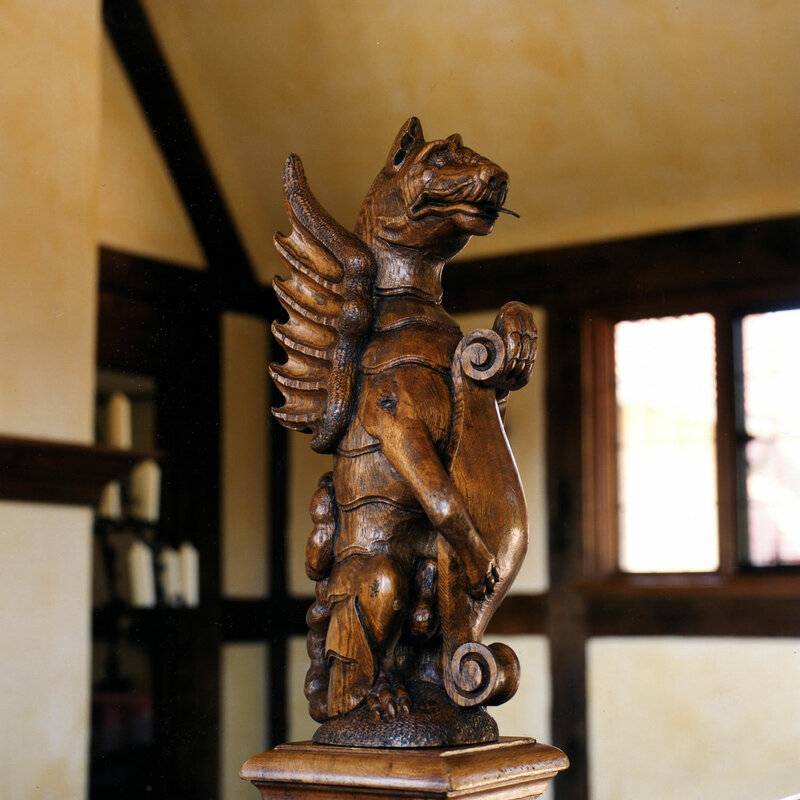 Whether you require a three-storey hand carved solid oak staircase for a Manor House, or some simple turned oak finials for a country cottage, we would be pleased to discuss the options available to you. 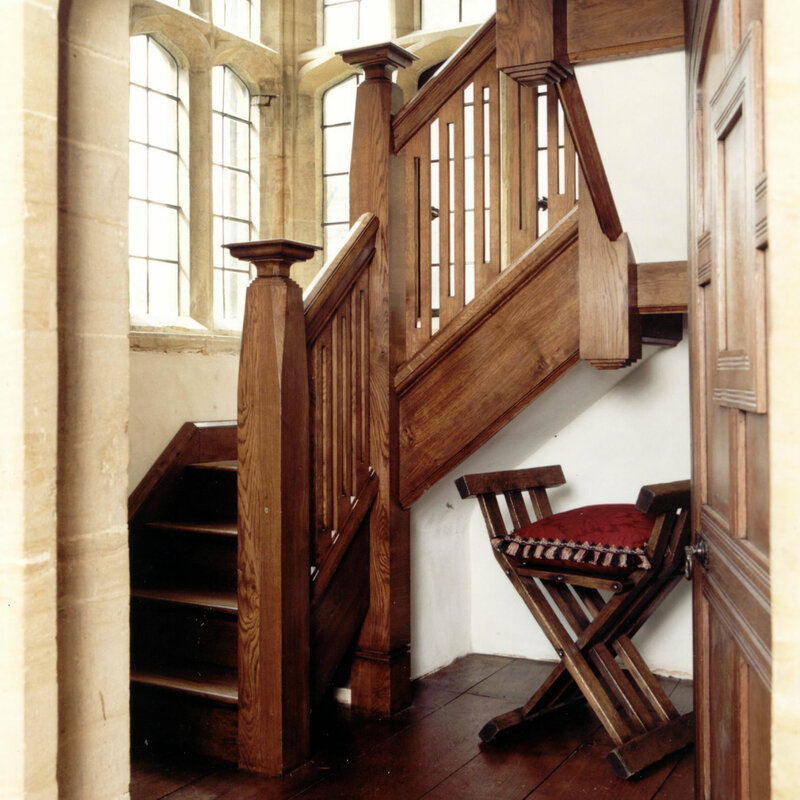 How do I commission an Oak Staircase? 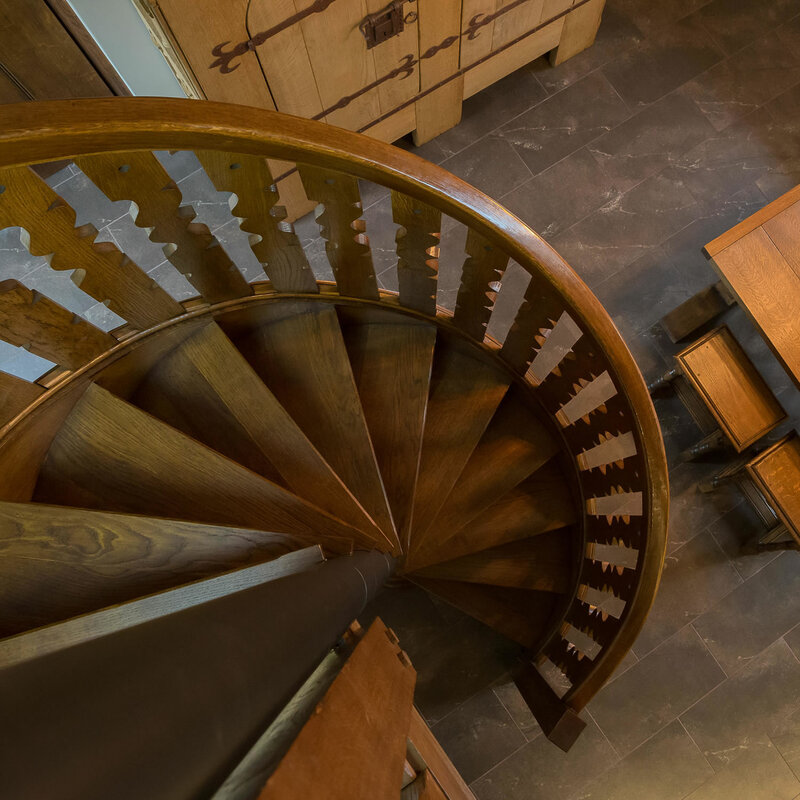 After a brief discussion about what style of staircase you are interested in and the rough size indication, we give you some estimation of cost. 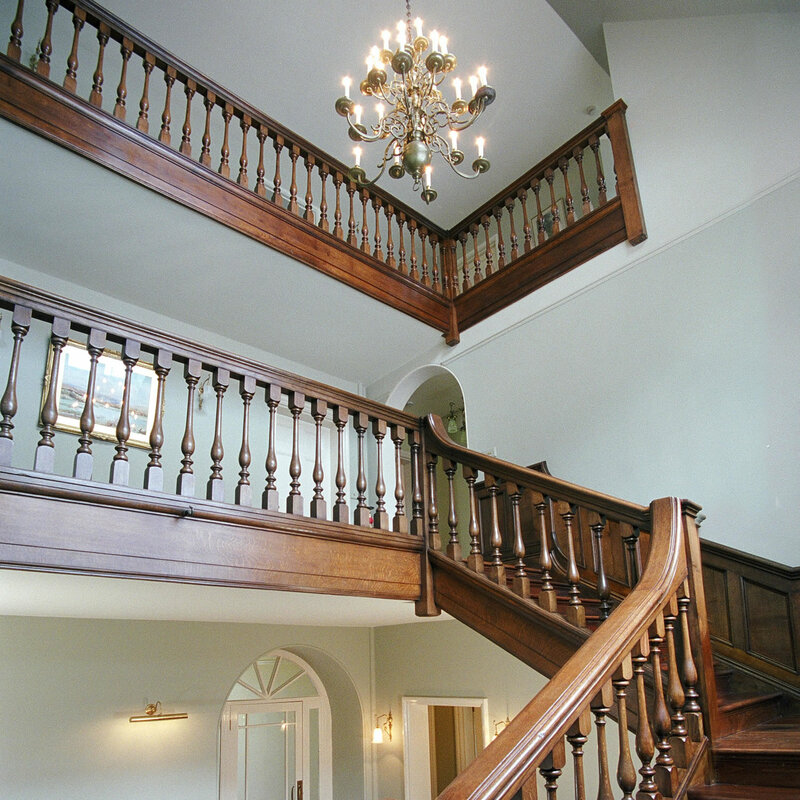 Following a site survey, we produce working drawings for you to approve. 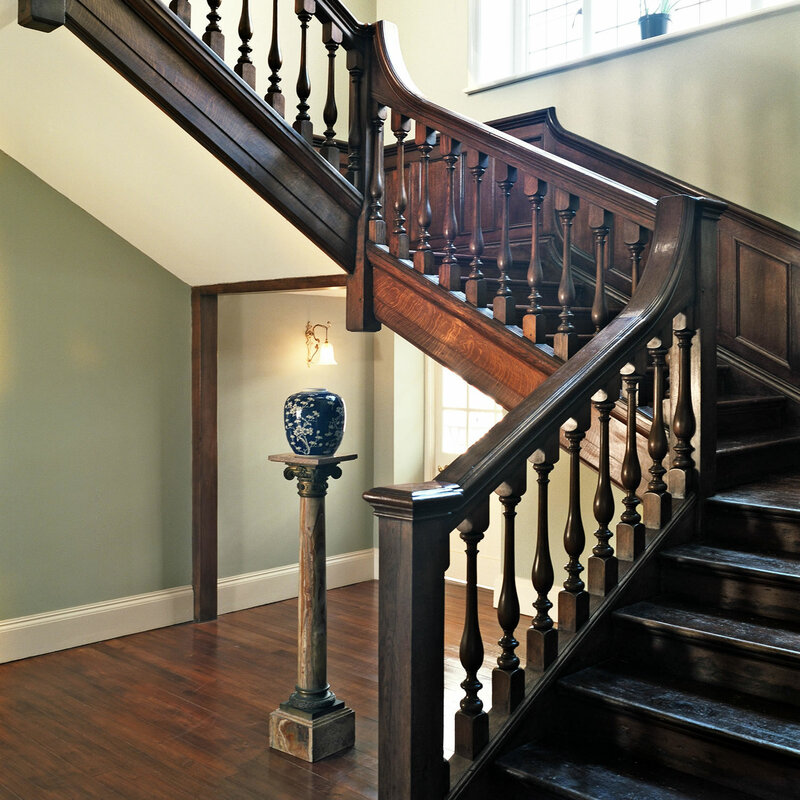 We would also discuss the finer design details such as finials, turnings and newel posts, along with preparing colour samples for your consideration. 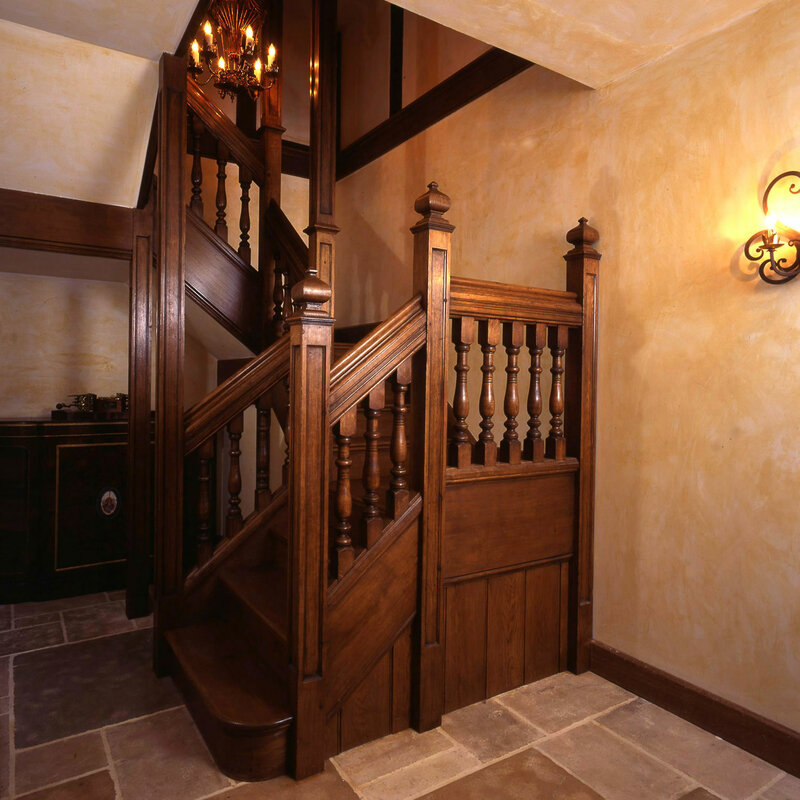 Everything is then delivered to site for our team of talented craftsmen to install at your convenience.